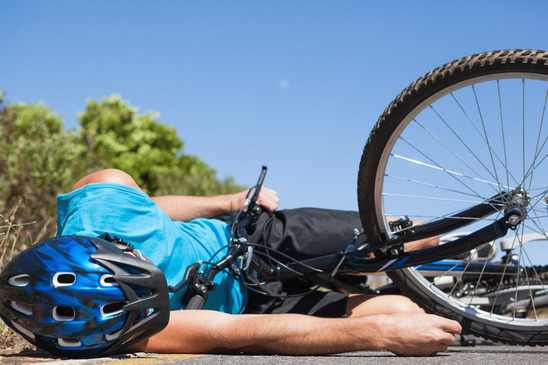 Like pedestrian accidents, bicycle accidents cause significant injuries that can leave a lasting impact on the victims. With little protection against cars, trucks and trains, cyclists are particularly vulnerable. The importance of wearing proper bicycling safety equipment cannot be stressed enough. The Insurance Institute for Highway Safety states that 429 cyclists not wearing helmets died in 2010. This equates to 70 percent of all cycling deaths across the United States over that time period. While vital safety measures, such as helmets and other protective gear, do improve survival rates, the number of injuries and accidents involving cyclists continues to climb in most regions across the United States. If you have been involved in an accident and are suffering serious injuries as a result, contact a Miami personal-injury lawyer from Wolfson Law Firm, LLP. At Wolfson Law Firm, LLP we fight for the rights of the injured, and we will work with you to recover damages from negligent motorists. Call us today at 305-285-1115. We will give you a free case evaluation to establish the best way to proceed with your specific accident claim. The LA Times reports that a study by the Governors Highway Safety Association identifies California and Florida as the leading states for bicycle accidents in the country. According to the study, the most likely bicycle fatality victims are males older than 20 years old. California, with 338 cyclists killed in crashes with cars, and Florida, with 329, had the highest numbers between 2010 and 2012, according to the report. These two states also had the highest increases in annual cyclist traffic deaths during the same period. Florida’s fatality rate rose from 37 to 120 in 2012. Cyclist traffic deaths also jumped nationally by 16 percent. This increase is significantly higher than car accident fatalities, which increased by 1 percent during the same period. Experts claim that the lack of helmet use and cycling under the influence of alcohol contribute to cyclist deaths. NBC Miami reports that one person has died after a train hit a cyclist on Monday afternoon. Tri-Rail operates the train involved in the accident, which happened on Diana Beach. Local police say the cyclist rode into the path of the train for no apparent reason. The train hit him, and he died instantly on the scene. The victim is a 53-year-old who lived in Plantation. Police say all of the safety equipment, including bells, lights and security gates, were working at the time, but Smith simply failed to stop. The accident closed numerous roads in the area, and traffic backed up onto Interstate 95. Cycling accidents can be particularly severe. If you have been involved in an accident, contact a Miami accident lawyer from Wolfson Law Firm today. Our personal injury lawyers will work with you to defend your rights. Call us today at 305-285-1115 to arrange a free case evaluation.